Reports suggest the meeting wasn’t as “constructive” as had been suggested by the UK government. 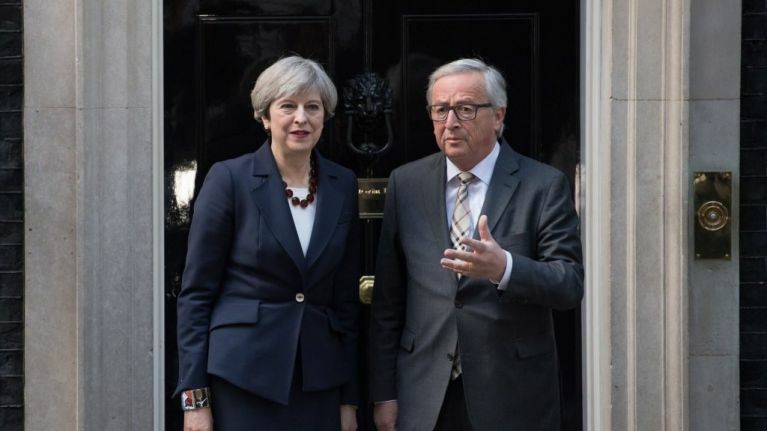 A report by German newspaper Frankfurter Allgemeine Zeitung (FAZ) has shed light on a seemingly “disastrous” meeting between UK Prime Minister Theresa May and President of the European Commission Jean-Claude Juncker at Downing Street last week. In a statement issued following the meeting last Wednesday, Downing Street described the meeting, in which May and Juncker discussed Brexit and a range of other international issues, as “constructive” and a “useful working dinner”. FAZ reports, however, that Juncker and EU officials were taken aback that May did not appear to be fully briefed for the meeting and that her expectations surrounding the Brexit negotiations – in terms of how lengthy and how complicated they might be – were unrealistic. Some of the main details of the FAZ report are summed up in a lengthy Twitter thread by Jeremy Cliffe of The Economist, which has been garnering a lot of attention since it was posted in the early hours of Monday morning. You can read the thread in full here, while some of the more notable points outlined by Cliffe can be seen below. Today's FAZ report on May's disastrous dinner with Juncker - briefed by senior Commission sources - is absolutely damning. 30/30) Sorry for the long thread. And a reminder: full credit for all the above reporting on the May/Juncker dinner goes to the FAZ. According to FAZ, meanwhile, Juncker phoned German chancellor Angela Merkel on Thursday morning, telling her that Theresa May was living in another galaxy and deluding herself with regard to Britain’s exit from the European Union. It was voted at a European Council meeting of the remaining 27 EU member states in Brussels this weekend to include a provision that would allow Northern Ireland automatically rejoin the EU if it became part of a united Ireland post-Brexit.